FIFI is a surviving Boeing B-29 Superfortress, and as of March 2016, the only one currently flying. It is owned by the Commemorative Air Force, currently based at the Vintage Flying Museum located at Meacham International Airport, Fort Worth, Texas. FIFI tours the U.S. and Canada, taking part in air shows and offering flight experiences. Built by Boeing at the Renton factory in Washington, B-29A serial number 44-62070 was delivered to the USAAF in Kansas in 1945. Modified to a TB-29A standard, it served as an administrative aircraft before being placed in "desert storage". It was returned to active duty in 1953. The airplane was retired in 1958 and placed at the U.S. Navy Naval Weapons Center and bombing range at China Lake Naval Air Weapons Station in California as part of a group of 36 B-29s. The Commemorative Air Force, then known as the Confederate Air Force, acquired it in 1971 and registered it as a civilian aircraft. It was flown to CAF headquarters at Harlingen, Texas on 3 August 1971 and re-registered as N529B in August 1981. Throughout the years of air displays across the country, the CAF and the many volunteers kept FIFI in the air. In 2006, however, following a series of engine problems, including engine failure occurring during an airshow, the B-29/B-24 Squadron made the difficult decision to ground the aircraft until more reliable engines could be fitted. In a joint press release, dated 21 January 2008, the Commemorative Air Force and the Cavanaugh Flight Museum announced a pledge of $1.2M USD to re-engine FIFI. Over the next three plus years, the original Wright R-3350-57AM engines were exchanged for new engines built using parts from later model engines that powered the Douglas A-1 Skyraider and Fairchild C-119 Flying Boxcar during the Vietnam War, a custom built combination of the Wright R-3350-95W and Wright R-3350-26WD engines. After the $3-million restoration project was completed, FIFI was flown for the first time in several years, on 5 August 2010. In 2010, "FIFI" was pronounced once again ready to perform at airshows, and "act" in feature films and documentaries throughout the Western Hemisphere. 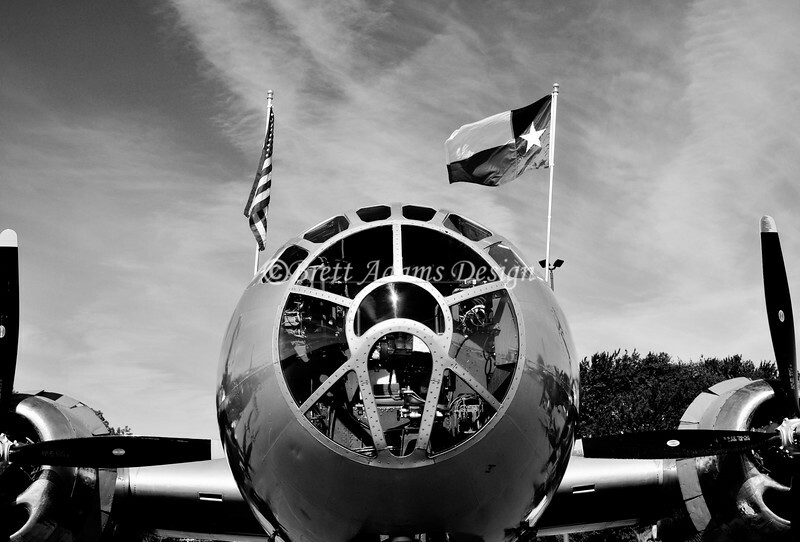 FIFI and Ol' 927 until 2013, was based in Addison, Texas at the Cavanaugh Flight Museum, the facilities owned by Jim Cavanaugh, a major donor and supporter of FIFI. Since 2013, FIFI was relocated to the Vintage Flying Museum, Meacham International Airport, Fort Worth, Texas.